Daiwa Alphas 103/105, Sol 103, Megabass Zonda series reels. Flat bottom, super light-weight, extra strong duralumin spool. MAGFORCE-AIR brake. Casts great for heavier than 3g 1/8oz. 0.330mm(US12lb)-70m/80yrds, 33mm dia, 11g. Not fitting to Alphas Air, which has 31mm dia spools. Daiwa 15Zillion TW 1516 Japan model stock spool, 0.330mm(US12lb)-100m(110yds). Fits to export Zillion TW100 models as well. 36mm dia. Shallower than export spools by about 20%, to improve casting performances especially for light rigs. Fits to Daiwa 15XX bait casters. Daiwa 15Zillion TW1516. It also fits to Daiwa Zillion TWS100 export reels. This spool is to cast the longest for heavier than 1/2oz rigs. The brake rotor spring is 4 times stronger than regular spools, making it emitting far less brake force than regular spools. G1 duralumin material is employed. 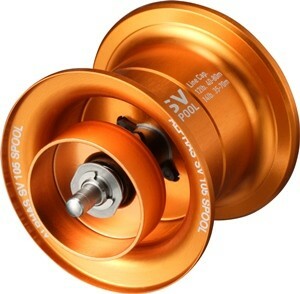 Spool dia 36mm, weight g, 0.310mm(US12lb)-100m(110yds). Fits to Daiwa 08Zillion, 09Zillion PE special and etc with Magforce Z brake system. 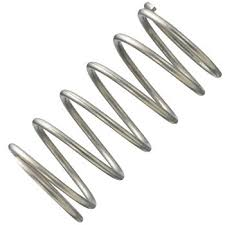 This is the strong rotor spring employed to 09Zillion HLC hyper long cast reel spools. It is 4 times stronger than stock 08Zillion spools. 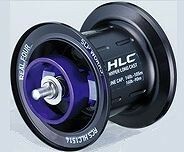 With this HLC spring, spool will spin at twice the speed as stock spools at maximum, to cast 80-100yds with 1/2-1oz rigs. Flat bottom light weight spool to improve casting distance by about 10%. Light weight 18.0g. 0.360mm(US14lb)-100m(110yds). Magforce-Z brake. This is the spool to improve 09Zillion reels in casting medium weight rigs of 3/8-1/2oz. 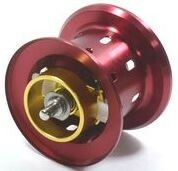 Zillion stock spool weight 21g. Flat bottom shallow spool to improve casting distance by about 20%. Super Light weight 13.8g. 0.310mm(US12lb)-100m(110yds). Magforce-Z brake. 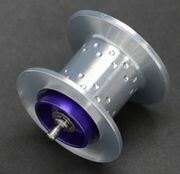 This is the spool to improve 09Zillion reels in casting light rigs of 1/4-3/8oz. 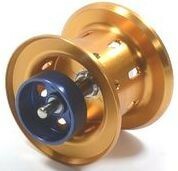 Zillion stock spool weight 21g. Flat bottom shallow spool to improve casting distance by about 20%. Super light weight 15.5g. 0.310mm(US12lb)-100m(110yds). 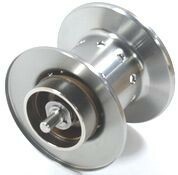 Fixed rotor has a little more brake than regular spools at slow-middle speed, but has less brake at high speed. 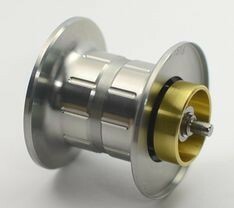 Fixed brake emits stable brake force, which is easy to expect. This is the spool to improve 09Zillion reels in casting light rigs of 1/4-3/8oz. 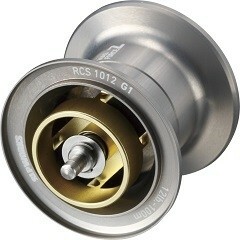 Stock spool weight 21g. 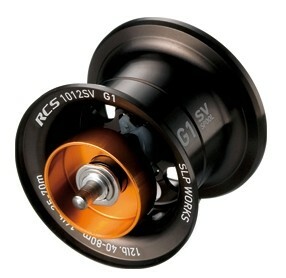 Daiwa SS Air 8.1 stock spool. 32mm dia, 25.4mm width. Daiwa Tatula 100/103 reels, except CT or SVTW. This spool is to cast the longest for heavier than 1/2oz rigs. The brake rotor spring is 4 times stronger than regular spools, making it emitting far less brake than regular spools. G1 duralumin material is employed. 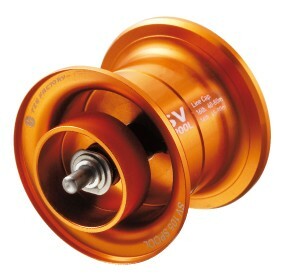 Spool dia 34mm, weight 16g, 16lb(0.330mm) -90m/100yds. Doesn't fit to Tatula 150 models. Daiwa Tatula reels 100/103 models, except CT or SVTW. 30% shallower spool to remove extra line weight (about 3gram) to improve casting performance for 1/4-3/8oz rigs. 0.300mm(US12lb)-100m/110yrds, spool dia34mm, weight 17.5g. 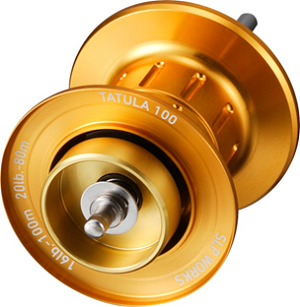 Tatula US 18.3g 0.300-140m Tatula TypeR 16.2g 0.300-140m Doesn't fit to Tatula 150 model with 36mm-dia spool. Ryoga Bay Jigging C20XX models. Not for Ryoga or Pluton with Magforce brake. Daiwa Millionaire 103 reels with Magforce brake, like CV-X/Z103/105, SW103, Barstock 103, Ringa SSS, Bay CastingSP103, Monoblock and etc. With this long pinion shaft inside cast control cap, you may install the tuning spools for Steez103/105 to your Millionaire 103 reels. This is the fee to install bearings onto spools. This service is only for customers who purchase bearing and spool together. 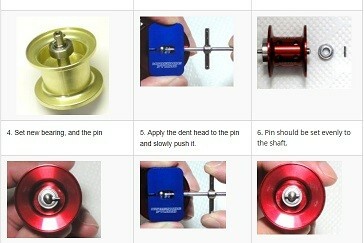 Bearings on short shaft model, like Daiwa, Revo (except Gen 1 S and ST) requires to use pin remover, and this service is to do it for you. 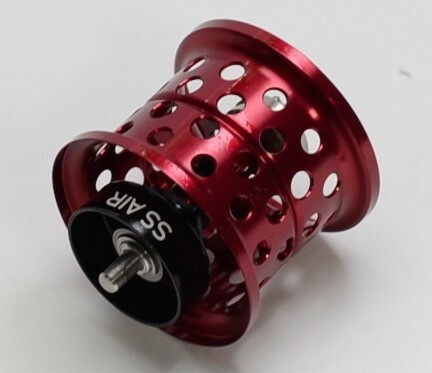 For long spool shaft reels like Shimanos, you don't have to replace the bearing on the shaft because it is not related to casting performances. It is to support shaft in case very large load is applied. For those reels please replace the two bearings at the both ends of spool shafts.